Students who have completed a bachelor's degree in a health-related field often pursue a Masters in Healthcare Administration Degree if they desire to gain the best opportunities as professionals in their field. These opportunities include: an abundance of career options, salaries of between $70,000 and $130,000 or more per year, annual bonuses and promotions, and personal satisfaction in the growing field of healthcare. Masters in Healthcare Administration professionals work in schools, hospitals, healthcare facilities, rehabilitation centers, private organizations, and governmental agencies as Community Healthcare Organizers, Hospital Directors and Administrators, Health Planners, and Directors of Nursing. Around the country, many colleges and universities offer excellent Masters in Healthcare Administration Degree programs to applicants who possess a bachelor's degree, a minimum GPA of 3.0, and some experience in the field of healthcare. Due to the comprehensive and skill-enhancing natures of those graduate degree programs, they are highly desirable to both students and their potential employers in this industry. America is fortunate to possess some of the best Masters in Healthcare Administration Degree programs through both traditional colleges and universities and through the top online healthcare administration degree programs. These programs are offered by exceptional schools that have acquired accreditation and favorable reputations as quality educational facilities. A few of the top schools and their Masters in Healthcare Administration Degree programs are described below. 1. Sullivan University: Aside from possessing the distinction of being Kentucky's biggest private school, Sullivan University also possesses accreditation by the Commission on Colleges of the Southern Association of Colleges and Schools. A Master of Business Administration-Healthcare Management Degree program is offered to applicants who possess a bachelor's degree. The tuition cost for this program is $495 per credit hour. 2. University of Iowa: The University of Iowa is accredited by the Higher Learning Commission, and it is a member of the North Central Association of Colleges and Schools. The Masters in Healthcare Administration Degree program is offered to bachelor's degree holders, and it costs $1,480 per semester hour. 3. University of Phoenix: The University of Phoenix is accredited by the Higher Learning Commission, and it is a member of the North Central Association of Colleges and Schools. 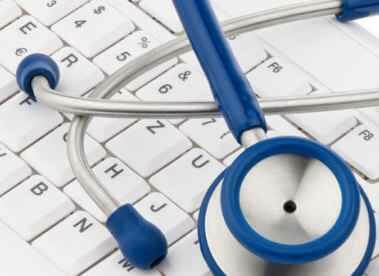 This school offers an online Masters in Healthcare Administration Degree program. Applicants who possess at least a bachelor's degree can choose to pursue an online Masters in Healthcare Administration-Education Degree program, an online Masters in Healthcare Administration-Gerontology Degree program, or an online Masters in Healthcare Administration-Informatics Degree program through this school. The tuition cost for each program is $715 per credit hour. On average, entry-level graduates of Masters in Healthcare Administration Degree programs make between $50,000 and $70,000 per year. As those graduates' skills, experience levels, and reputations as professionals increase, their salaries also increase accordingly. Some of the most popular and rewarding occupations for Master's in Healthcare Administration professionals include: Healthcare Marketing Directors, and they earn approximately $133,000 per year; Health Policy Analysts, and they earn about $85,000 annually; Healthcare Educators, and they earn roughly $52,746 per year; Directors of Nursing, and their salaries reach about $123,877 per year; and Social Workers, and they earn annual salaries of approximately $55,972. All of these occupations represent some of the most desirable career opportunities that are available to professionals who have earned a Masters in Healthcare Administration degree.